A combination of core and customized modules that are fully efficient, flexible and effective to gain different benefits and engagements. Efficient and dynamic solutions used by renowned integrated resorts operators and leading broadcasters across ASEAN. 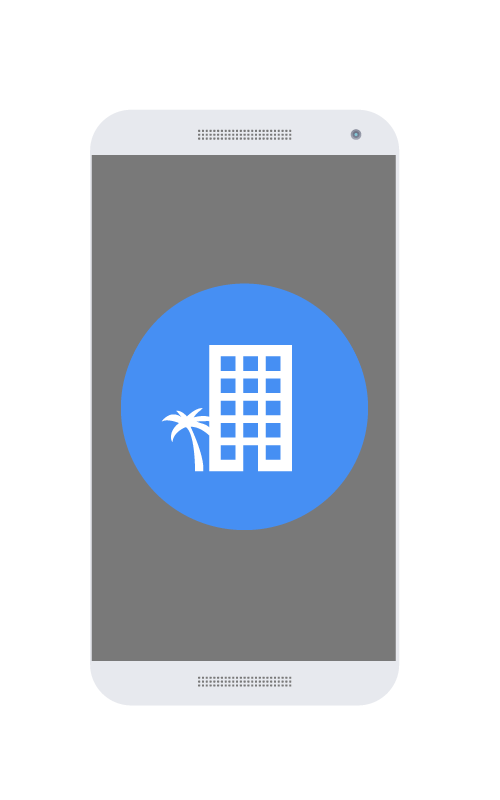 Smoother and better management of business such as staff rotations schedules, real-time incidence reports to streamlined work processes with real-time automated updates of room bookings / confirmations to rewards and promotional updates. Mobile CRM with real-time collation of user’s data from different touch points to enhance customer service and engagements. Example facility bookings such as rooms, restaurants, entertainments and tours. Secure authentication actions for multi-channel access with seamless verifications including self-check-ins and entrance access. New payment methods for flexible and on-demand services such as movies and / or in-resort vouchers. 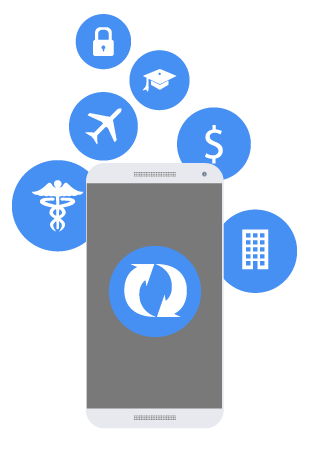 Contact us today and find the right mobile solutions for your business. Copyright © MACROKIOSK Group. 2000-2019. All rights reserved. By accessing this MACROKIOSK's World Wide Web (“the Website”), you acknowledge and agree to be bound by the following terms and conditions ("T&C"). You must not access the Website if you do not agree to the T&C. MACROKIOSK group of companies and its related companies ("MACROKIOSK") reserves all its rights on the information contained in the Website. All rights of reproduction, transfer, distribution or storage of part or all of the content in the Website in any form without the prior written permission of MACROKIOSK is strictly prohibited unless otherwise agreed by MACROKIOSK in writing. The information on this Website server is provided on an "as is" basis. No warranty or representation of any kind, either by way of express, implied or otherwise; including but not limited any implied warranty in relation to the reliability, accuracy, and completeness of the content of the pages and technical inaccuracies or typographical errors. You are advised to visit this Website frequently to determine any changes to the T&C. MACROKIOSK assumes no responsibility for material created or published by third parties that the Website has a link to or such other materials contained in the Website which has not been verified or authenticated by MACROKIOSK. Your access to the Website is at your own consent and subject always to the T&C herein. MACROKIOSK shall not be responsible for any damages suffered as a result of your use of the information and contents contained in this Website, and in no event shall MACROKIOSK be liable for any direct, indirect, incidental, consequential, special, punitive or exemplary damages arising from your use of the Website. You are responsible for providing true, accurate and complete information to MACROKIOSK about yourself on a voluntary basis. Any such personal information furnished by you to MACROKIOSK is considered privacy information. MACROKIOSK is ISO27001 ISMS certified and is committed to protecting your privacy information to the extent of, and in accordance with, MACROKIOSK’s policies. MACROKIOSK reserves the right to amend, modify or add any part of this Legal Notice at any time from time to time. MACROKIOSK is an ISO27001 ISMS Certified Company. This policy framework ensures that MACROKIOSK will uplift its perseverance in having a good practice in protecting the confidentiality, integrity and availability of the entire information from all threats, whether internal or external, deliberate or accidental. This policy framework will also minimize the possibility of a threat to information security causing losses or damages, security breach or exposure to its customers, business partners and MACROKIOSK. Continuously improve the Information Security Management Systems by performing periodic reviews. Spamming is the sending of unsolicited commercial communications. Mobile phones provide the utmost personal and direct access to a customer. Using it carelessly will have an intrusive and profound negative effect. Spamming puts all the actors in the wireless industry at risk. MACROKIOSK believes that user request-and-receive interaction is the best solution for the delivery of wireless content. It forces providers to develop content and services from the needs of the customer and establishes a dialog that leads to deeper customer relationships. MACROKIOSK does not accept spamming traffic; evidence of a client sending spamming will entail immediate suspension of the service and/or termination of the contract between that client and MACROKIOSK. No SMS, EMS or MMS must be sent to a mobile subscriber without having previously obtained his/her consent. MACROKIOSK clients need to set up a simple and inexpensive opt-out procedure allowing mobile subscribers to stop receiving SMS, EMS and MMS when they wish. MACROKIOSK clients must at all times comply with applicable laws and regulations concerning the collection, processing and the use of personal data. SMS, EMS and/or MMS related to marketing campaigns must at all times unequivocally indicate who is sending them and clearly indicate the price of the service promoted in accordance with advertisement legislation. MACROKIOSK strongly recommends that clients adhere to at least one direct marketing code of practice. In any case, the text or images displayed must not be misleading, and must straightforwardly describe or illustrate the services offered. Breach or suspected breach of this anti-spamming policy will cause immediate suspension of the service. If the breach is evident, client's contract will be terminated immediately. MACROKIOSK also reserves the right to initiate legal proceedings against the sender. MACROKIOSK is convinced that building a trust-based relationship between mobile subscribers, network carriers and service providers is a paramount to success of the wireless industry. This policy will be interpreted in accordance with this principle. Please CONTACT US if you know of any abuse. COMMITTING to promoting values of integrity, transparency and good governance. STRENGTHENING internal systems that support corruption prevention. COMPLYING with laws, policies and procedures relating to fighting corruption. FIGHTING any form of corrupt practice. By the Malaysian Anti-Corruption Commission (MACC). By any Governmental and Agencies that MACROKIOSK has business practice in. MACROKIOSK is convinced that to conduct business free from corruption and in accordance with the Anti-Corruption Principles for Corporations in Malaysia and in all MACROKIOSK business practices is to ultimately act in the best interests of the Company, its shareholders and employees, as corruption destroys shareholder value, undermines the confidence of investors and employees, and is the antithesis of sustainable growth. Gifts obtained from public events such as tradeshows, conferences, training and seminars whether in the form of physical goods or food or beverages. Gifts in the form of Greeting cards, Thank You notes, Certificates, or in such other written form. Gifts that are no more than USD1.00 in value. All submission must be accompanied with a detailed resume containing the current salary, expected salary and a recent passport size photograph. Only successful candidates will be contacted.